Disclaimer: I received a box of NuGo Dark to review as part of being a BibRave Pro. Learn more about becoming a BibRave Pro (ambassador), and check out BibRave.com to review find and write race reviews! 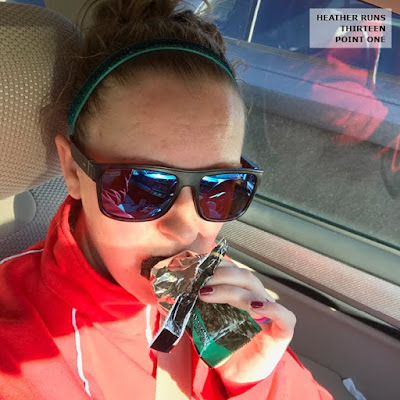 As athletes, we know getting the proper amount of protein to help our muscles recover is important. There are tons of options out there – it can be hard to decide what's best for you. 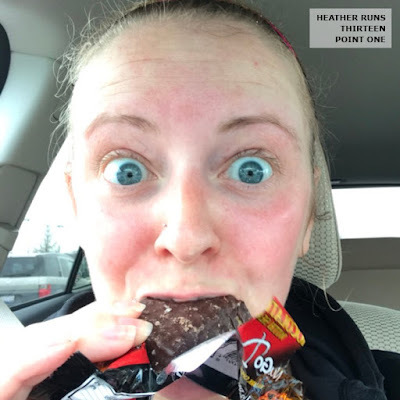 In my experience, I've found a lot of great options, but I am VERY picky when it comes to taste and texture, and the majority of protein rich bars have a horrible texture and/or taste. And so I've been on the hunt for a protein bar that has the protein AND the good taste. Honestly, I am not a fan of dark chocolate on its own. 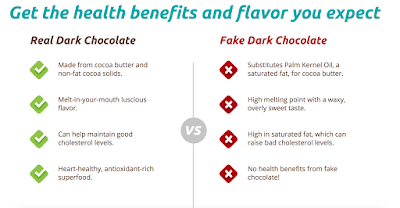 Chocolate itself isn't my usual go-to sweet treat, but I prefer milk chocolate or white chocolate. I figured I'd give these a try though, as it wasn't just straight dark chocolate. I'm so glad I was open minded enough to give them a chance, because they are AMAZING. I was able to test the Chocolate Chocolate Chip, Mint Chocolate Chip, and the Chocolate Pretzel with Sea Salt. I think the pretzel was my favorite, but they were all quite tasty. Also available in the Dark line are: Chocolate Coconut, Mocha Chocolate, Peanut Butter Cup (NEED to try this one), and Spicy Chocolate. You can get a box of just one flavor or a sample box with three flavors. afterwards. Happy to have some NuGo on hand. 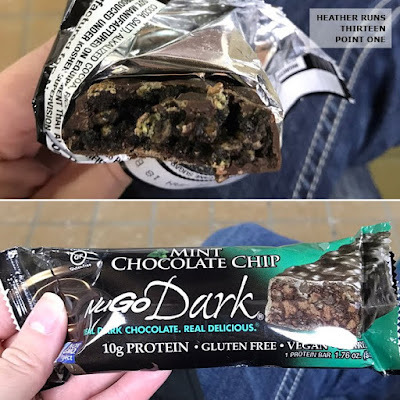 These bars are gluten free, non-GMO, and vegan. You'll get 10g of protein, 1g of fiber, and about 14–15g of sugar. So, they might have more sugar than other protein bars or what you might prefer, however, I'll take a little extra sugar for something that has the protein I need AND tastes good. Something can be super healthy, but if it doesn't taste good, I'm not eating it. That's that. Also, I'd rather some sugar than artificial sweeteners. REAL Dark Chocolate. REAL delicious.® REAL health benefits. 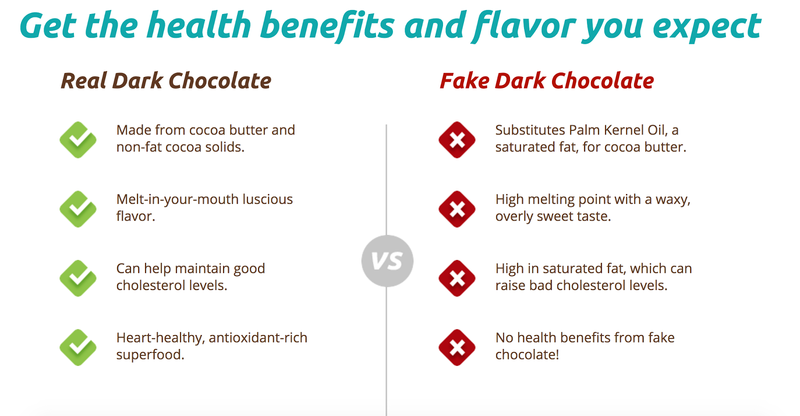 REAL Dark Chocolate isn’t just a delectable treat with delicious flavor. It’s a heart-healthy, antioxidant-rich superfood, and a staple ingredient in many NuGo bars. Research has shown that REAL Dark Chocolate may help maintain good cholesterol (HDL), lower blood pressure, elevate mood, reduce stress, and increase endurance when consumed before a workout. So if you want to lead a healthy life, get REAL. Get NuGo. Better ingredients mean better taste. At NuGo Nutrition, we believe that the freshest, healthiest ingredients are also the best tasting. We are passionate about keeping families active and healthy, which is why we’re so committed to keeping GMOs, artificial hormones, stomach-upsetting maltitol, and artificial sweeteners out of NuGo products. When you give your child a NuGo bar (or grab one for yourself), you can be confident that you’re getting only the best naturally delicious ingredients in every bite. Coming from an extremely picky eater, I give these my stamp of approval. 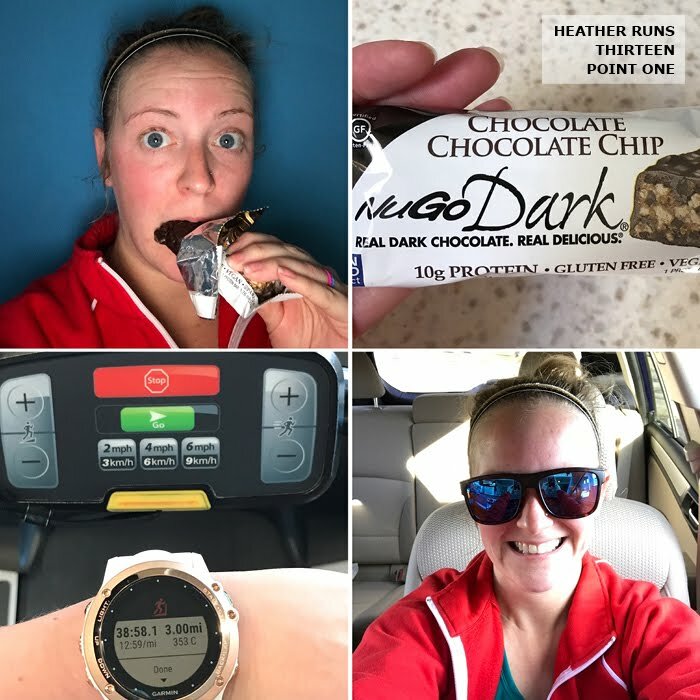 They taste more like a treat than a protein bar, and remind me more of a candy bar, but make me happier knowing they contain the protein my body and muscles need to help recover after running. Plus, they help curb my hunger until I can eat a real meal. Give 'em a try! You can get a box of the DARK for 15% off using code BIBRAVE1 through February 8. They also have the 3 bar sample packs, so you can try a few flavors before committing to a box of 12 of one flavor. 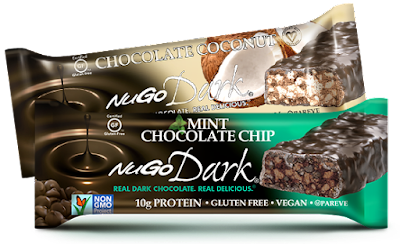 Another great thing about NuGo is you can find them in local grocery stores. Use their store locator to find one near you.